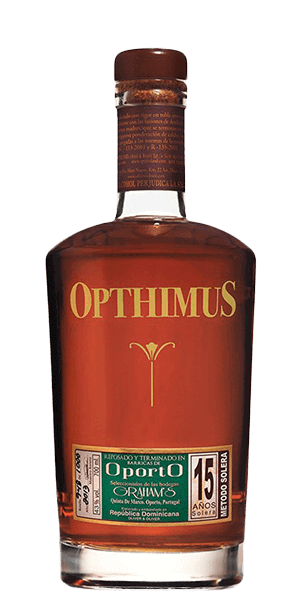 If you love Rum, but don’t know Opthimus, you’re surely missing out. It is made by Oliver & Oliver, a family owned business, which has been producing blended Rum for two decades, but in fact their Rum history has much, much deeper roots. It started with Juanilo Oliver, a Spanish soldier, who arrived in Cuba in mid 19th century and decided to take advantage of the ideal climate characteristics for Rum making. The Oliver family definitely knew what they were doing, as they quickly gained the reputation of producing the best Rum on the island, which is an astonishing feat in itself. It was the best of times, it was the worst of times. With the arrival of war at the end of the century also came the abrupt end to Oliver Rum. The legend remained, though. Still, it wasn’t until the late eighties that a member of the younger generation returned to Cuba to collect the treasured Rum formulas used a hundred years before. The descendants committed themselves to revive the brand in the Dominican Republic using only the traditional methods and procedures. They decided not to distil their Rum, but only buy the best available distillates in the Carribean to establish the perfect base to further age, mature and blend. Nowadays, Oliver & Oliver produces a whole range of excellent Rums, with Opthimus being the cream of the crop. The Opthimus 15 YO Port Finish is aged for 15 years in ex-Bourbon casks following the traditional solera method. It is then placed in Port barrels for a special 6 month finishing process, before being bottled by hand at 38% ABV. Considering all the awards it’s winning, they must be doing something (or pretty much everything) right. Their commitment to artisanal craftsmanship and a deep connection to the family history is evident in the product. The harmony of flavours is admirable. This is as delicate and balanced a Rum as you're gonna get. What’s the word we're looking for? Optimal. What does Opthimus 15 Year Old Port Finish Rum taste like? The Flavor Spiral™ shows the most common flavors that you'll taste in Opthimus 15 Year Old Port Finish Rum and gives you a chance to have a taste of it before actually tasting it. could only dream of drinking it.